Employment Agency – What One Can Get by Hiring Their Services? 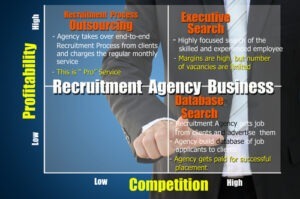 Information about a recruitment agency business. Photo courtesy of Shutterstock. Employment agency services are utilized by many people so they can find a job. Whether you are looking for immediate work placement or just trying to see what are the opportunities available in the job market, signing up with a job agency is very beneficial. So it is worthy to be considered. You can widen your job search with an agency and can access a bigger area of the job market by getting aware about the more relevant posts as well as contacts. 1. Agencies have permissions to enter job data bases which you wouldn’t be able to access or find by yourself since the vacancies are not publicized. 2. Most companies today only hire new employees through employment agencies so if you will register with them, you have more chances of being considered for the job. This is even more advantageous during these times of economic slump because most employers are using the agencies to recruit new employees to save time and money. With this set-up, it is easy to see why it is better to find a job via a recruitment firm. 3. It is common for employment agencies to have good connections in various industries. Thus, they can easily learn about new job openings the moment they become available. This means, you can be one of the earliest applicants since you are one of the first ones to know about the hiring. 4. The agency can also direct you to paths that you have not even considered before. Such jobs may not be on your radar; hence you can’t detect the new opportunities that you can actually plunge into. 5. There are people who think that only the companies or employers are benefiting from recruitment agencies. In truth, this is hardly the case. The job placement business has changed, and it is for the better. These days, they are also focusing on helping jobseekers to find work that match their skills and qualifications. 6. Aside from providing job vacancies, employment companies can also help with curriculum vitae (CV). They will revise it to be effective and more fitting for the jobs that you are applying to. 7. You can relax a bit since the agency will look for employment opportunities for you. They are always on the lookout for new job openings as it is their main task. They will call you once they matched you up with a job. 8. It is possible to find and apply for work overseas because most recruitment firms today operate worldwide. Recruitment agencies get payments from companies for the services they rendered and this is how they earn. While it is alright for companies to pay a fee, jobseekers, on the other hand, don’t have to pay anything. If they will ask payments from you, it is an indication to start looking for another recruitment firm. If you are searching for work via an agency, sign up only if you are sure that they will not charge anything. Their services for jobseekers are typically offered for free so it will be a rip off if you will register with a company that collects fees. To sum it up, a job recruitment agency offers valuable services to employers and job hunters alike. And because lots of companies use their services to hire new employees, you are at a great advantage since your application can be given more priority. There’s just so much to gain from finding a job through agency, take advantage and sign up with the most reliable employment firm today.